Swiss Living Challenge team awarded first place at the Solar Decathlon 2017. 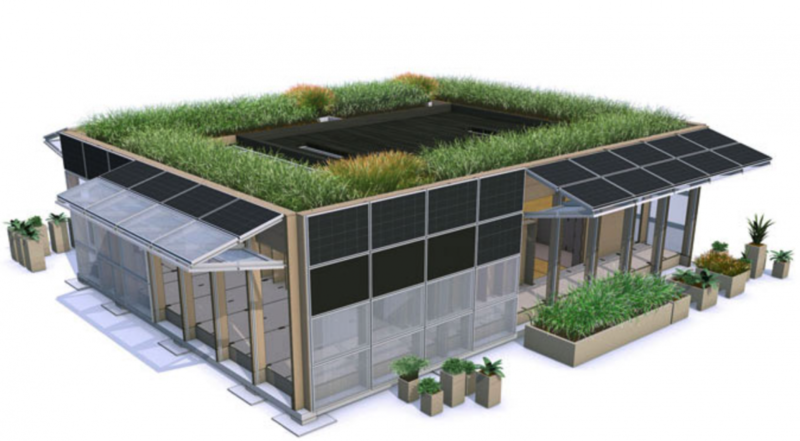 The Solar Decathlon, which was held in Denver, Colorado, is an international competition organized every two years by the US Department of Energy. Universities from all around the globe competed against each other to design and build a functional and innovative solar-powered house. As a decathlon, there were ten categories for competition: architecture, market potential, engineering, communications, innovation, water, health and comfort, appliances, home life, and finally, energy. The Swiss project, called NeighborHub is a collaborative community space. The team designed the eco-friendly space to serve as an educational resource. At the NeighborHub, residents can learn about seven sustainable themes: renewable energy, water management, waste management, mobility, food production, material choices, and biodiversity. Aside from the current collaborations between ESTEE and EPFL laboratories, ESTEE foresees additional collaboration opportunities with students who designed and built the NeighborHub from EPFL, the School of Engineering and Architecture of Fribourg, the Geneva School of Art and Design, and the University of Fribourg for its closed and sustainable habitats. In this regard, ESTEE is currently offering several internship opportunities to facilitate advancements in the integration of sustainable energy production technologies within habitats. Further job ads that will be posted next year in the framework of ESTEE growth. All candidates, including members of EPFL winning team are welcome to apply! ESTEE SA extends congratulations to the four partner schools and their suppliers who provided their solutions, expertise and know-how to the Swiss Living Challenge team. For more information about the Solar Decathlon 2017, please read the EPFL news release.